Wendt Motors is an German Auto Repair Service center located in Doraville, GA. We have been providing German Auto Repair, Auto Service & Auto Parts to customers for over 20 years.We service Porsche, BMW, Audi, Mercedes Benz and VW vehicles. Our service technicians are all master level mechanics that fix the problem right the first time. We take pride in delivering high quality service at reasonable prices. We service clients all around the Atlanta area including: Doraville, Dunwoody, Duluth, Norcross, Alpharetta, Chamblee, and Johns Creek. 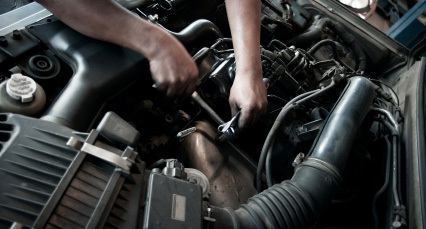 Our services include auto service, automotive maintenance, car repair and performance tuning. We provide routine maintenance, preventative maintenance, and diagnostic services to ensure your car, SUV or truck work properly time after time. We only used original equipment manufactured parts and used the latest in state of the art diagnostic equipment. All of our technicans are factory trained on BMW, Audi, Mercedes, Porsche and Volkswagen vehicles and are ASE Certified. Call us today at 770-457-5550 or stop by for car service, car mainteance, car repair and car parts. for all of your service needs. 1 mile outside of the perimeter on Peachtree Ind. Blvd. © 2012 Wendt Motors. All Rights Reserved.